Slept on this pillow about 5 days. Wasn’t sure between medium and firm. Ordered firm and I was surprised at how very firm it is. Hard to stuff into pillow case. Immediately thought I should have ordered medium as the firm doesn’t allow scrunching. Now I’m waiting to see if it becomes more pliable. I’m so used to under filled down pillows. Excellent pillow but might be too firm for me. With a fine firm feel, but soft Hungarian white goose down fill, this European Heritage Dusseldorf comes in various sizes to make the perfect companion to any bedding. 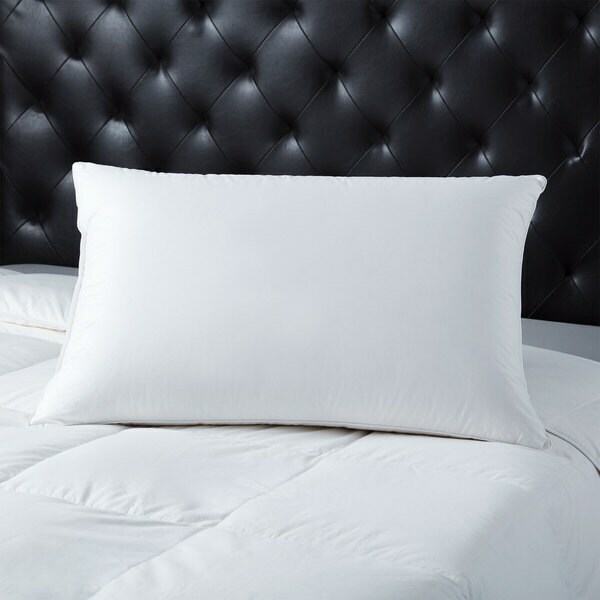 The pillow cover is made of soft 254 thread count cotton cambric which combines with the high-quality, 650 fill power down for ultimate comfort. The down has been through a unique multi-wash and rinse process to ensure it is completely hypoallergenic.